We all want the air that we breathe in our homes to be clean and healthy. 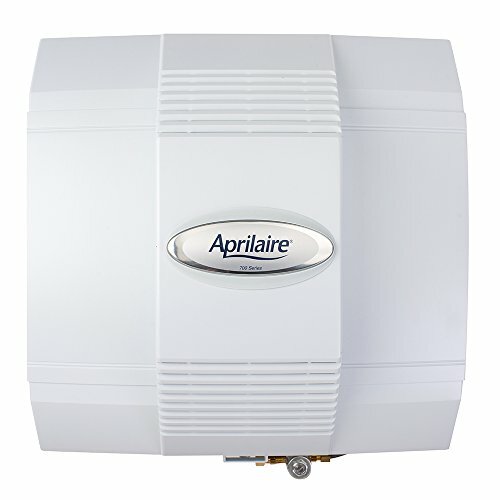 The Aprilaire Humidifier 700 is an air quality control unit which does exactly that. It can cover indoor areas as large as 4,200 square feet, making it an ideal whole house humidifier. By optimizing moisture levels within your home, this automatic humidifier alleviates symptoms of dry skin, allergies, cracked lips or other related health concerns. Simply put, it creates a healthier breathing environment for you and your family. This air quality control unit provides humidification for the whole house and is suitable for large spaces. As one of the leading models on the market, it offers several unique and nifty features that you can make use of and enjoy. Not only that, the ability to adjust the settings manually too gives you even more control over your surrounding air conditions. As a result, you can enjoy both manual and automated operational modes that make the unit more flexible and convenient to use. Unlike many other air humidification devices, this unit operates quietly, making it suitable for use in the home and in spaces where you want to avoid any unnecessary noise. The Aprilaire Humidifier model 700 also provides other useful climate control information. You can look up surrounding temperatures, relative humidity indicators, and other relevant tidbits that affect the air conditions within your home. Firstly, you will find that this is one of the easiest units on the market to install. The Aprilaire Humidifier 700 model comes with an easy to follow instruction manual designed to make installation simple and quick. It provides detailed, step by step instructions to set up the unit on your own in no time. 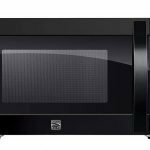 This not only saves you time but money as well when considering the costs of professional installation services which can add up to a great deal of money. Do however read the instructions carefully, and if you are unsure of anything, then consult the nearest installer for advice. The Aprilaire unit provides optimal atmospheric conditions for you and your family through automated and self-regulating humidity features. Rest assured knowing that the air within your household is being constantly monitored and controlled by the humidifier. As an industry leader, the Aprilaire whole house humidifier boasts a 50% increase in moisture creation capacity when compared to its nearest competitor. Naturally, the humid air is beneficial in your home, easing respiratory problems and alleviating dry skin to make dry indoor air a thing of the past. Not only that but people with specific health requirements can use the manual settings to create their own ideal surrounding air conditions to suit their individual needs. One of the major benefits of using the Aprilaire Humidifier 700 is how quiet this humidification unit is. While many air quality control devices operate loudly and disrupt the peace, this model by Aprilaire operates silently. As a result, it is suitable to use in the home and other places where excess noise would be an issue. Boasting a respectable 4,200 square foot coverage area, the Aprilaire Humidifier 700 is capable of providing air humidification for large homes. Subsequently, this device is ideal for homeowners with big living spaces as it provides way more air coverage than the average humidifier. Ultimately this will save you money and help avoid lengthy installation procedures associated with large living spaces. The Aprilaire 700 provides you with functions that are convenient and user-friendly. The choice of manual or automated controls means you can choose how you interact with it. Furthermore, you don’t have to worry about rigid operating rules with this unit either. It is as flexible as you need it to be and will work using either hard or distilled water. Using digital control, the Aprilaire unit allows you to easily monitor and access relevant information. Essentially, giving you an improved experience and better accessibility to all the useful functions. Apart from the recommended simple annual maintenance, the Aprilaire Humidifier 700 requires very little ongoing upkeep work and cleaning it is easy when compared to other similar products on the market. Choosing to use this air quality control unit can therefore conveniently lower your related costs. Unlike many others on the market, there is no filter included in the Aprilaire Humidifier parts. This is especially useful as you won’t have to spend anything on replacing filters and wicks. The Aprilaire Humidifier 700 provides you with three pre-set humidification settings on the digital LED screen. You can choose from the whisper, medium, or high-level settings using the Aprilaire Humidifier control screen. Adjusting the atmospheric conditions within your home to suit your personal preferences has never been easier. This automatic humidifier provides you with one-touch access options to ensure you are breathing clean air with the simple push of a button. Offering both automatic and manual settings, Aprilaire’s quality unit offers a great level of flexibility and control. Using the automatic control settings, it runs independently without needing any manual adjustments. The Aprilaire Humidifier automatically detects when humidity levels are dropping. When needed, it releases warm air through the furnace using a built-in fan to create humidity. As a result, you no longer need to constantly monitor and adjust settings to create suitable atmospheric conditions within your home. On the other hand, if you would like more authority to create customized settings, you can access the Aprilaire air quality control unit manually. One of the stand-out features of the Aprilaire humidifier 700, is its ability to cover areas as large as 4,200 square feet on its own. 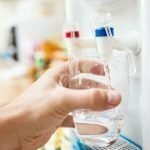 Using an 18-gallon reservoir at an evaporation capacity of 0.75 gallons per hour, this air quality control unit is capable of providing the best air conditions for large homes. This is the highest capacity of humidifiers on the market today. The AIRCARE 831000 does not cover quite as much floor space as the Aprilaire. With coverage capacity of a respectable 2,700 square feet range, it’s still very capable of the job though. Like the Aprilaire, this too features digital controls with an automatic humidistat. Additionally, we like that it automatically shuts off when the selected level of humidity is reached. Who doesn’t want energy savings for their home? This unit provides you with antimicrobial protection using Trapmax technology. Simply put, this ensures that the air you breathe is healthy and free of microbial contaminants. As a more cost-effective alternative to the Aprilaire, this unit is a popular choice. The Vornado Evap40 4-gallon air humidification unit is designed to be effective in spaces of up to 1,000 square feet. So if you’re looking for a smaller device to target a single room, this could be the unit for you. Using its extra-large 4-gallon capacity, this device is capable of creating humidity for up to 24 hours in one go. It has a built-in humidistat and control panel which are easy to use and provide a simple, user-friendly interface. The control panel allows you to choose a humidity level from one of three fan speeds (low, medium fast). The Vornado Evap40 Humidifier uses a special airflow vortex action humidification process to provide consistent and natural humidification in its operating environment. If you’re looking to optimize the conditions in a single room, this is an affordable option. In summary, the Aprilaire Humidifier 700 is an ideal air humidification device for large and medium homeowners. It is suitable for a family environment and creates a healthy breathing space for everyone. With its dual manual and automatic settings, this unit provides for convenient flexibility and control. You can enjoy the available features that provide maximum convenience with minimal input. Because the Aprilaire Humidifier 700 comes with clear and simple, installation and user instructions, set up is a breeze and using the unit is straightforward. Lastly, the low maintenance requirements and efficient components make this device one of the best humidifiers, and a cost-effective option for the long-term when compared to competing devices that require expensive ongoing operational costs.